The November issue of the Cartographer’s Annual builds on the foundation Sue Daniel set with the “Japanese Temples” style in September. It adds more than 30 new buildings, and a full set of house, street and city tools for a comprehensive “Asian Towns” style for City Designer 3. The 6-page mapping guide takes you through all the steps to utilize these resources. 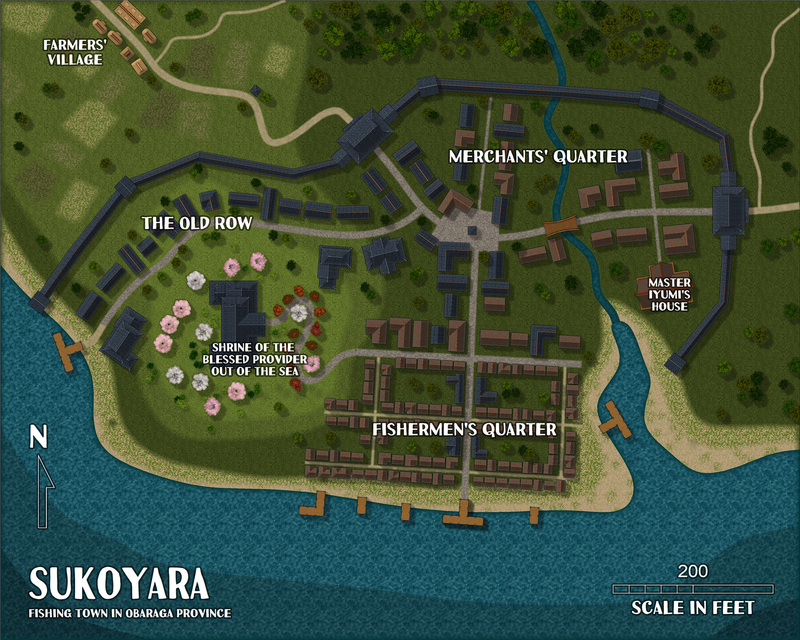 Check out the details of the style here on the 2018 Annual’s page and click the image on right to see the included example map of the “Fishing Town of Sukoyara”. Oh how rude of me! The 2018 annual just got put on my must have list.